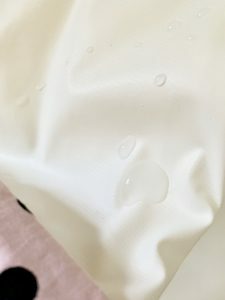 Images below are to illustrate more features on umbrella wet bag. 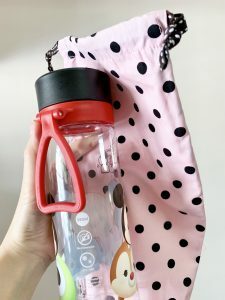 This water bottle is 550ml. 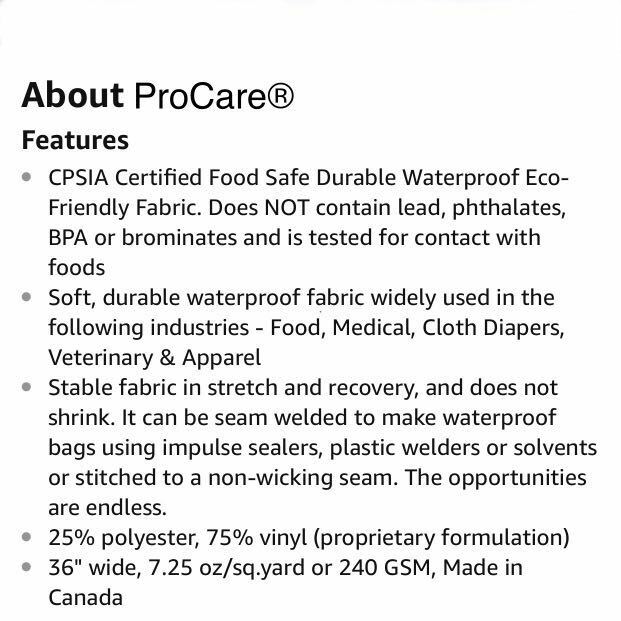 To use on 750ml is also not a problem. 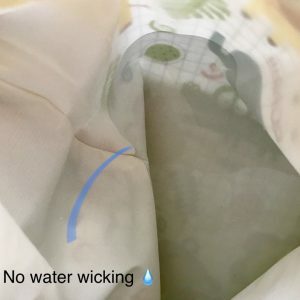 Inner lining is the same as what we use for our wet bag. 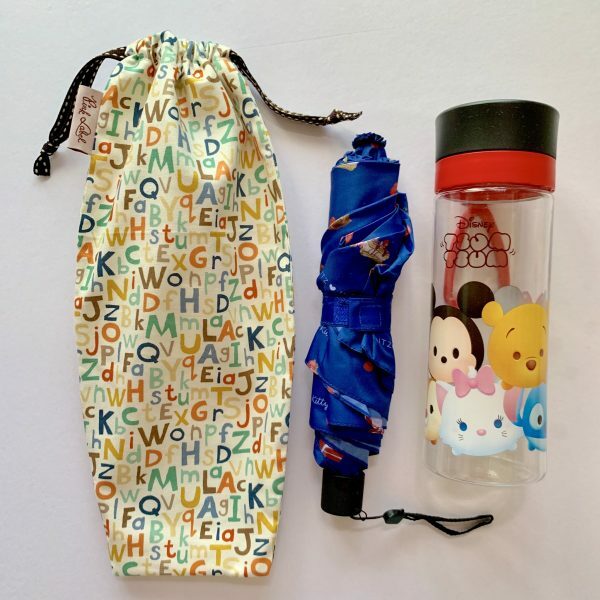 This Umbrella Wet Bag is one that can help you free from wetting your bag, your pants/skirt, your shoe, the floor, the seat… etc! 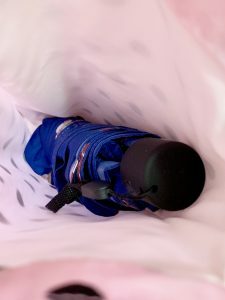 The idea is to put your soaking wet umbrella into the Umbrella Wet Bag and let the bag work its magic. 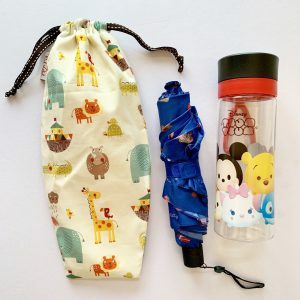 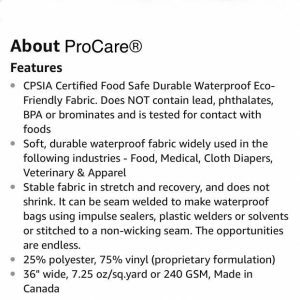 This Umbrella Wet Bag has a waterproof PROCARE lining that helps to keep the wetness in ! 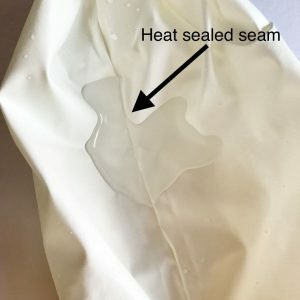 Because of the Heat Sealed Seams , no wicking ! 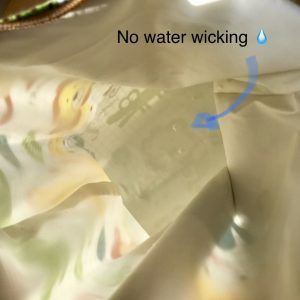 NO LEAK !! 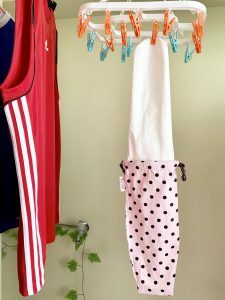 Machine washable , reusable and stylish !! 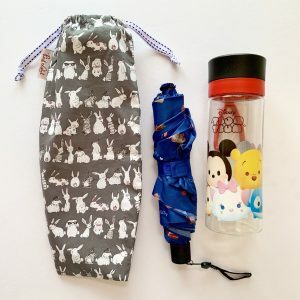 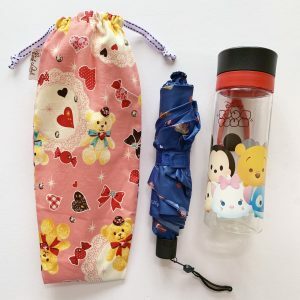 * Able to fit most sizes (fold-able umbrella) ………………..
++ Due to the handmade nature of this bag, the placement of the fabric and patterns may vary slightly from what is pictured above. 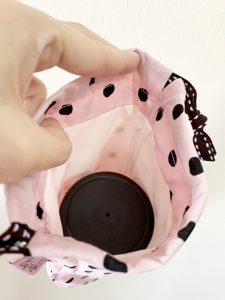 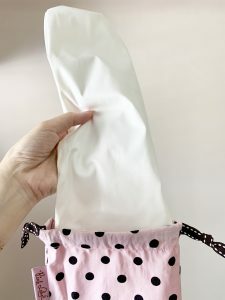 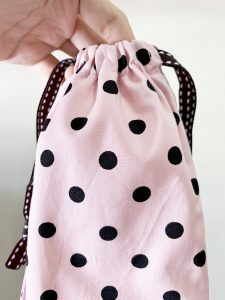 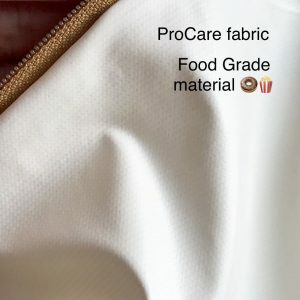 In the western countries, they use this type of inner fabric to make bag as SNACK BAG, putting food directly in instead of using Plastic Bag. 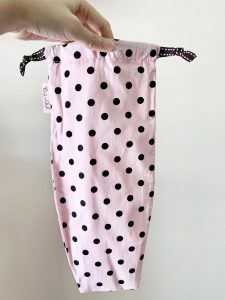 Is reusable, washable and ECO-Friendly.